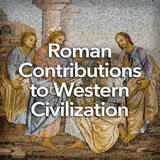 Students learn about the lasting impact of ancient Rome on Western civilization. First, they watch a rap video to become engaged with the topic. Then, they read sources containing concise descriptions of Roman achievements in many fields. 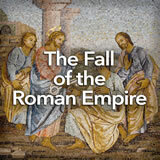 Next, they look for examples of the Roman legacy in the world around them. Finally, they read, write, and talk about similarities and differences between ancient Rome and the United States. 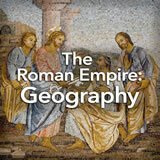 In this experience, students learn about the lasting impact of ancient Rome on Western civilization. First, they watch a rap video to become engaged with the topic. 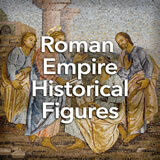 Then, they read sources containing concise descriptions of Roman achievements in many fields. Next, they look for examples of the Roman legacy in the world around them. Finally, they read, write, and talk about similarities and differences between ancient Rome and the United States. Describe important Roman contributions to western civilization. 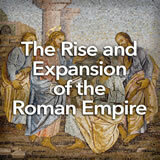 The Roman Empire existed long ago, but its influence is still felt today. In this experience, you’ll find that influence in many aspects of civilization. If you know where to look, you can find evidence of the impact of ancient Rome throughout the Western world, especially in Europe. Watch Legacy of Ancient Rome Rap. List several facts you learned or re-learned from the rap.